We were recently given the good news that our community investment plan for 2019 to 2022 (Plan 2) has been endorsed by our funders (Local Trust), with a proviso that we can access the community kitchen funds should our business plan demonstrate need and value. The beginning of the new plan is great because we can build community energy and support around it and increase our partnership numbers in the process. The Meet and Mingle in late November 2018 was our first celebration of this pivotal moment and was a chance to welcome interested people from the community, explain where we’re going and invite them to join us. 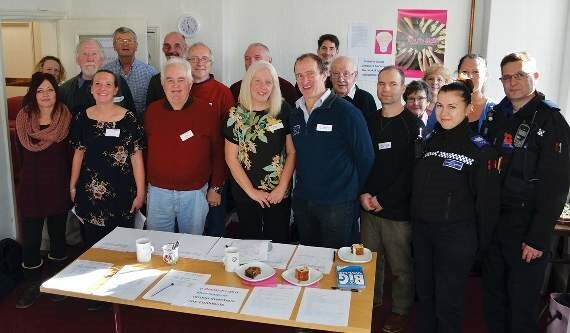 We are excited to say a number of local people joined the Partnership at (and just before) the Meet and Mingle event and we now have 26 members who will help to guide and support the Plan!